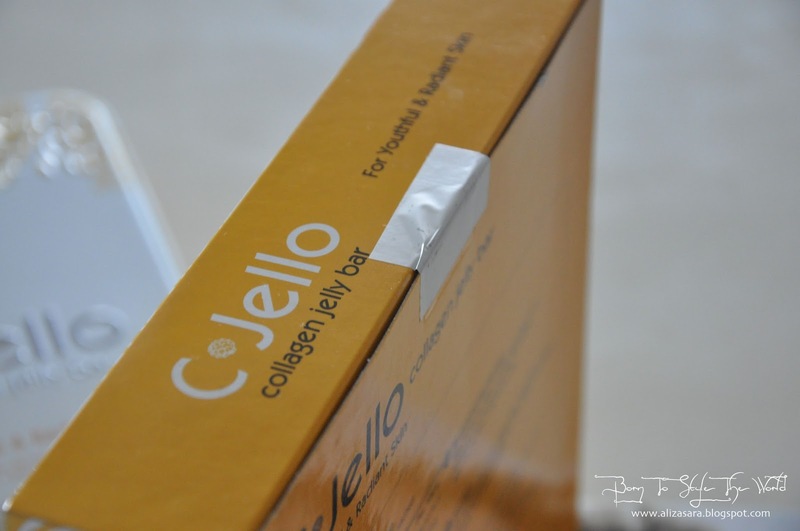 Im sure if youre here, you're wondering what is this C.Jello Bar? Well, i'll be honest as i decided to write a review on this, because this would be my 2nd box of C.Jello im consuming for the past 3 weeks. Hehe. 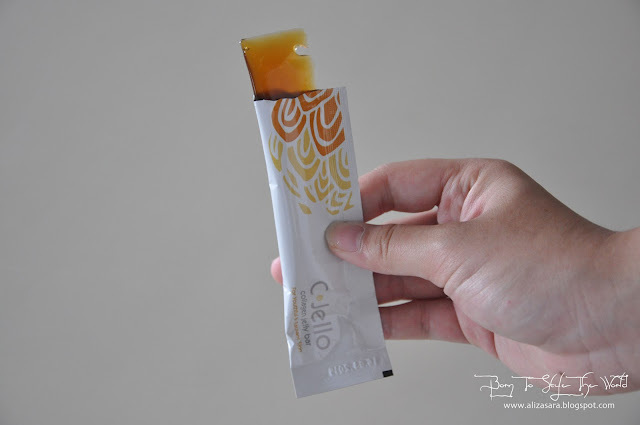 This C.Jello bar has no artificial colours, flavours or preservatives which makes it all natural. Its also gluten free, dairy free and egg free for those who are concern. What it does it basically it promotes youthful & radiant skin. Some nutritional facts and information on ingredients. Void Seal on every box. 25 sachets in one box of C.Jello. Every packaging comes with a void sticker for security purposes on the box which i think its great! And each box of C.Jello comes in a metal tin box, which includes a flip book filled with information on the product, and also 25 sachets of C.Jello Bars individually wrapped for easy consumption. The texture is exactly like jelly. The texture is like any Jelly texture and the colour is like the colour of tea. 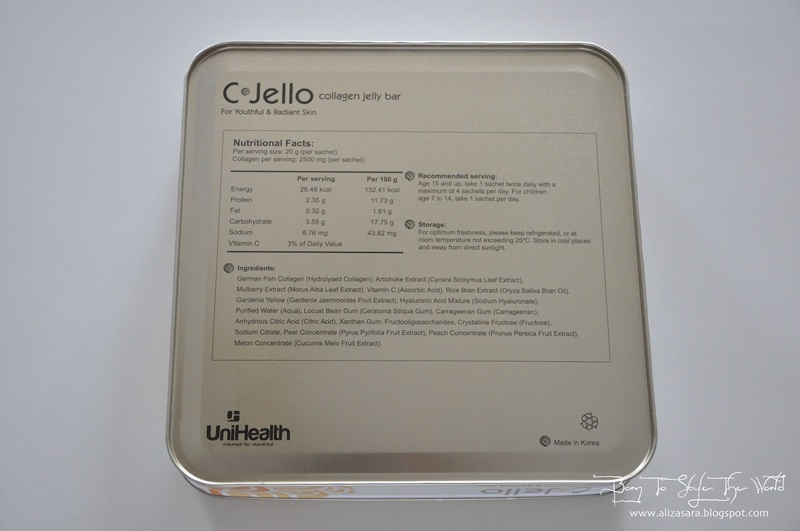 C.Jello contains type 1 collagen which is highly beneficial for the ski. It doesnt burn fat, but they assist the body in building muscles by using the excess calorie in the body. A great way for those who are building up to get toned bodies. hehe. The theory of this is if collagen protein nourishes the muscles, those nourished muscles will burn off the excess calories in your body. Type 1 collagen is found mainly in the skin, tendons and muscles. Do also keep in mind that it also helps speed up healing of muscular and joint pain. 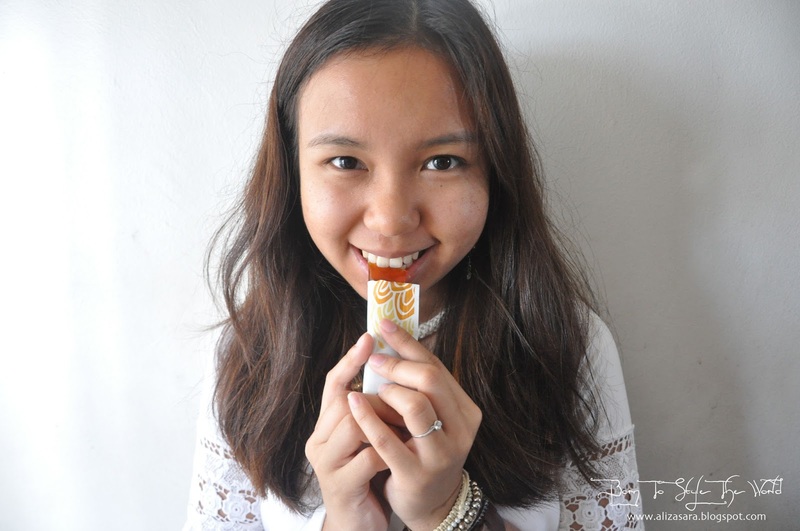 Its amazing that all these benefits can come from this Jelly. 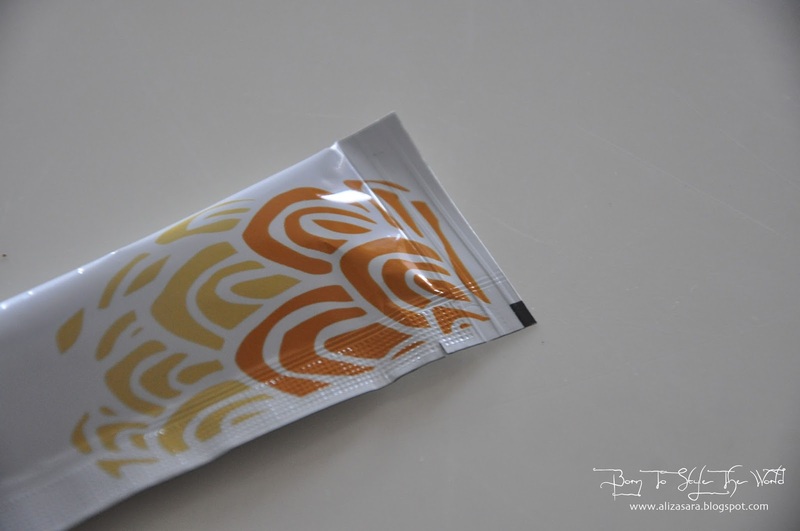 The origin and source of the collagen determines the purity of the product and reduces the risk of contamination, which i think the manufacturing of this product has taken careful considerations into making sure that the product is free from contamination. Also, did you know that this has a 99% absorption rate? 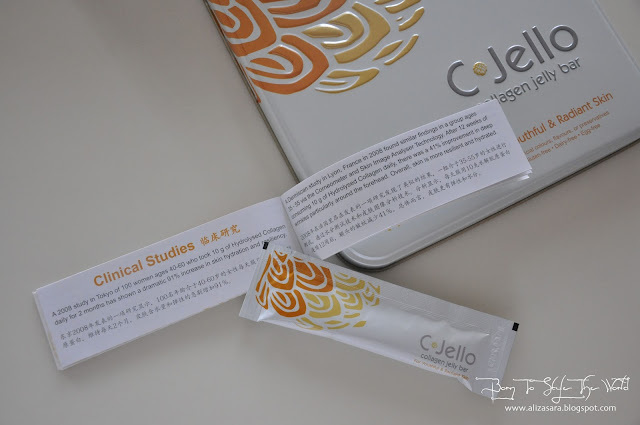 The molecular weight affects the absorption of the collagen. 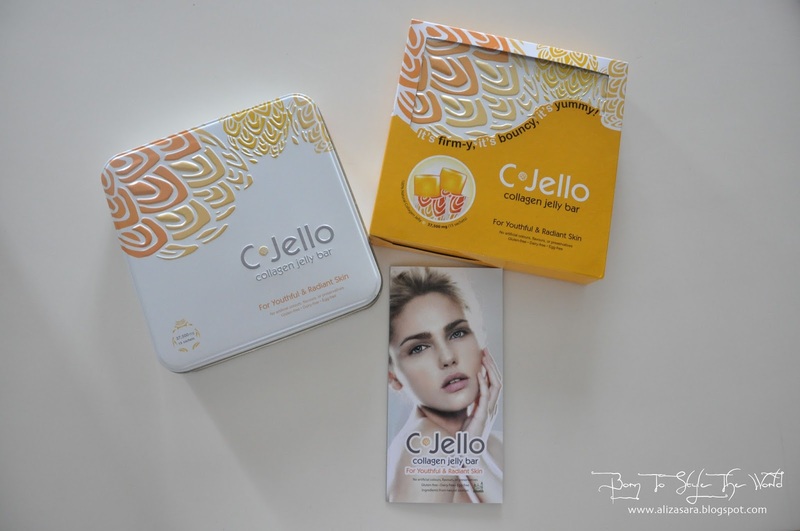 C.Jello has a molecular weight of 500 to 3000 Da therefore, making it a highly absorbable collagen substance. I've been consuming this for 3 weeks now, and i've seen that my skin has been looking healthier and bouncier too. hehe. (Despite being only 23 this year) It works great! 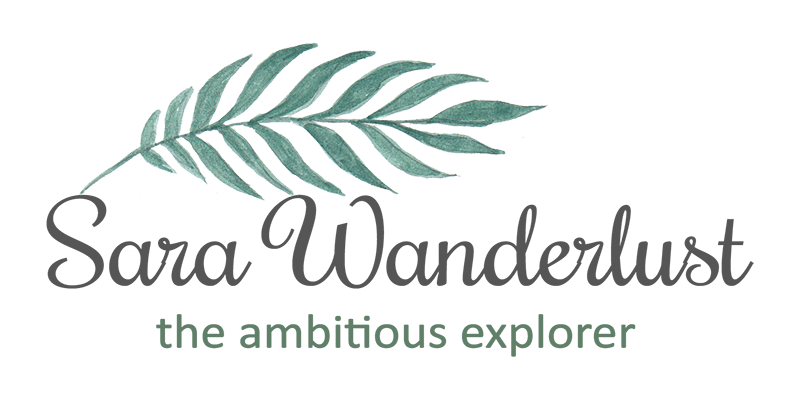 I have another box to consume, and this post will be updated with a before and after photo soon for your convenience to see what can it do! :D Cant wait for the results. 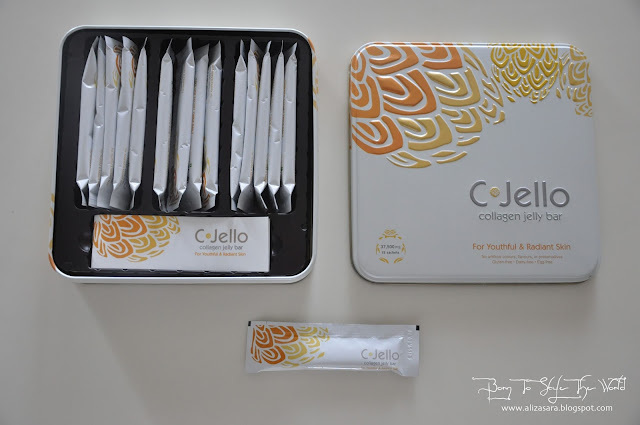 For more information on C.Jello, be sure to visit http://www.c-jello.com or https://www.facebook.com/cjello.collagen.jelly.bar . Do not hesitate to leave me a comment below, as i love to get insights of what you think of the product. Haven't tried them before so can't comment about the products. Looks like one of those expensive items that need to be regularly consumed. I tried this before and the results are good. I love how it brightens up my look. Thank you for sharing. It looks so handy and easier to remember to consume compared to liquid form. Something to check out soon! Heard about this a lot. I would try this soon! Sounds like a miracle jelly! How does it taste like? I havent tried them but heard they are really good but not sure whether i will feel like spending so much money on it. Awh Aliza, your last picture is too cute! Heard a lot about this brand, will check them out and see if there will be any improvement on the skin on my end :) Cheers to the share dear.